When Sainul Islam, 21, a resident of North Assam’s Lakhimpur district, started throwing up, running a temperature and complained of a headache recently, his family rushed her to the mini-primary health centre in the area. The district has been at the centre of an acute encephalitis syndrome outbreak. At least seven Japanese Encephalitis (JE) death cases have been confirmed this year in the district so far. Acute encephalitis syndrome is a condition of brain inflammation caused by both bacterial and viral infections. It is accompanied by fever, headaches, seizures, disorientation and vomiting in people, and if not treated quickly can result in death. The Japanese encephalitis virus has been responsible for most cases of acute encephalitis syndrome in India and South Asia. When a blood test was run on Sainul, he tested positive for Japanese encephalitis. In spite of treatment in the hospital, he did not survive. The vector born disease is transmitted by clux mosquitoes. 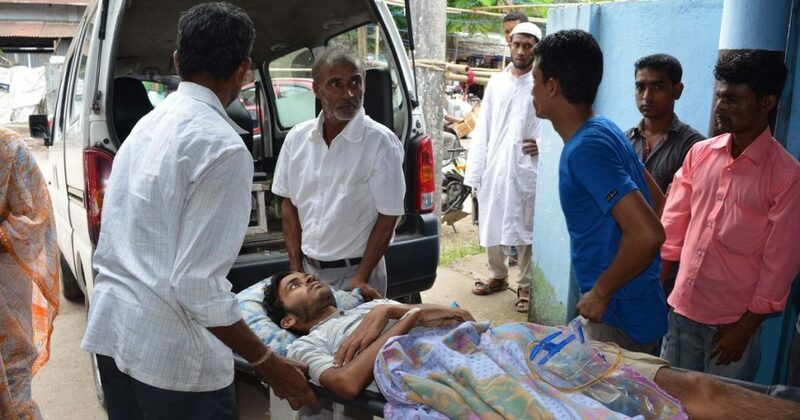 According to National Vector borne Disease Control Programme (NDGCT), 96 acute encephalitis cases have been reported in Lakhimpur district between January and August this year, of which 43 have been found to be positive. Not only Sainul six other people–Halima Topna, 9, Tagarwala Saikia, 80, Raihan Ali, 1, Luhit Chandra Das, 19, Premika Horo, 13, and Rahul Basumotary, 13—also died of JE. Health department officials said several fresh cases have been reported from Narayanpur, Boginodi, Nowboisa Borsala and in many wards of municipal areas of the district. The district health officials have taken a slew of initiatives to prevent outbreak of the disease, said an official. Vaccination and intensive fogging has been done around 100 meters in the affected areas all over the district, he said. Identification and proper mapping of the affected areas is also done by the district health officials and this is stated by the Joint Director of Health, the official added.